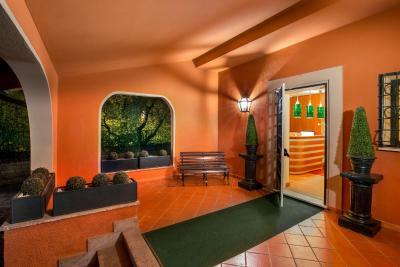 Lock in a great price for Resort La Rocchetta – rated 8.6 by recent guests! It is a quaint and cozy place. Everything was very clean. The staff were extremely helpful. It was a very pleasant stay and I would definitely stay again. The only problem....slow WIFI. Other than that a great place to stay! Mattress was very comfortable. Breakfast was nice. The waitress in the breakfast room is a delight. Good hotel. Beautiful facilities. 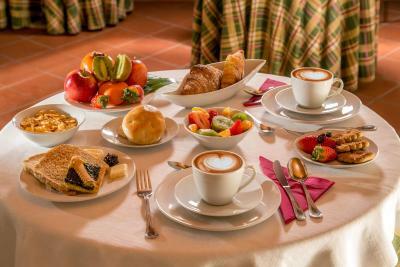 Good breakfast, more than average in Italy. Svena is a great hostess. 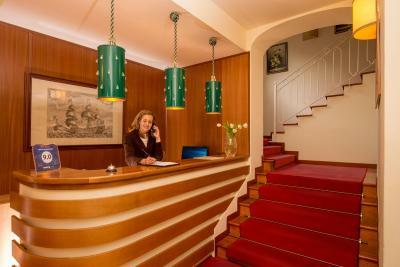 This was our second visit to the hotel and she is always very welcoming and informative. The breakfast is okay, a fair amount of choices. Great stopover on the way to airport. The property is so calm that one can easily meditate on the garden. The location is nice if you have a car. The train station is a 10-minute walk, though. 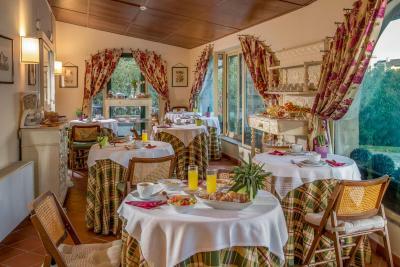 The staff is very welcoming and the breakfast was good. Perfect place. Quiet and relaxing. Very friendly staff. 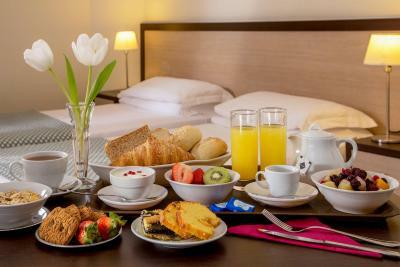 Great breakfast, dinner and secure parking on-site. 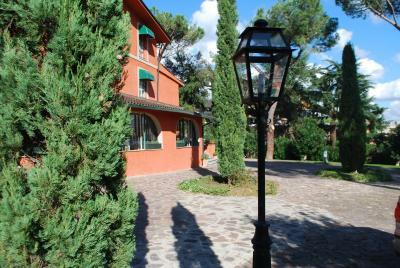 The rooms were comfortable and it was a great spot to travel into Rome, with easy access to the train station (10min walk) with quick 30-40min ride in. The staff were fantastic and it was a very comfortable place to stay. Staff was super helpful, friendly, accomodating. 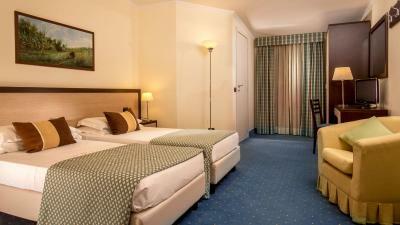 Location was great close to city center and access to airport is easy. Common areas were beautifully decorated. Area was secure and safe. 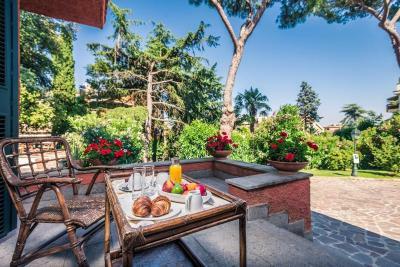 Resort La Rocchetta This rating is a reflection of how the property compares to the industry standard when it comes to price, facilities and services available. It's based on a self-evaluation by the property. Use this rating to help choose your stay! 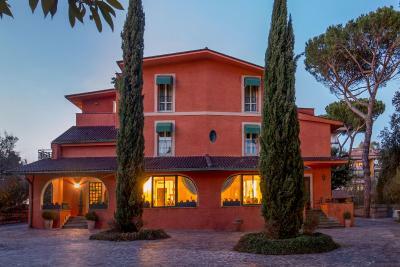 One of our top picks in La Giustiniana.Less than 2.5 mi from the Etruscan city of Veio and its historical park, Resort La Rocchetta is a 20-minute drive from the center of Rome. This family-run accommodations offers free private parking. 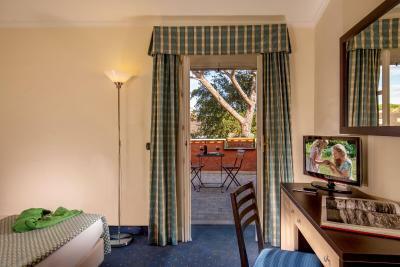 Rooms are air conditioned and feature a flat-screen TV, an private bathroom with free toiletries and a mini-bar. 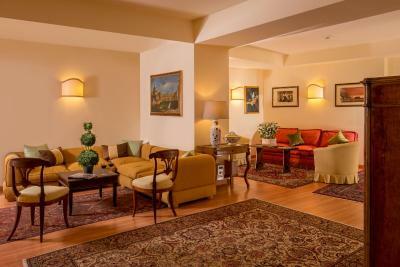 Floors are either carpeted or tiled, and Wi-Fi access is available. La Rocchetta is 30 minutes by car from Fregene’s beach, and 20 minutes from Fiumicino International Airport. La Giustiniana Train Station is 2,650 feet from the property. 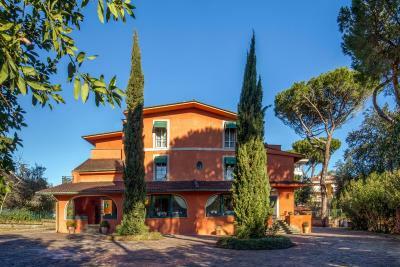 This property is also rated for the best value in La Giustiniana! Guests are getting more for their money when compared to other properties in this city. When would you like to stay at Resort La Rocchetta? 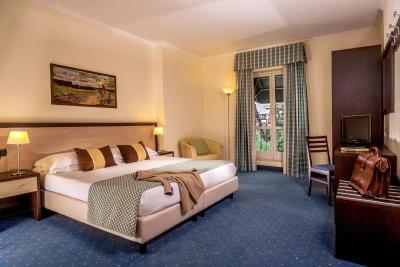 Air-conditioned room featuring a flat-screen TV and an private bathroom with free toiletries. Wi-Fi is free. 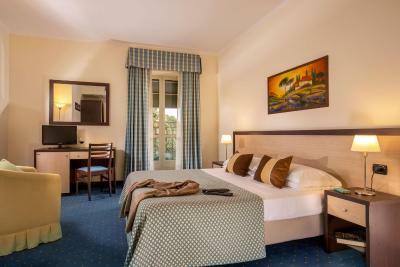 Larger air-conditioned room featuring a flat-screen TV, an private bathroom with free toiletries, and a double bed. Wi-Fi is free. 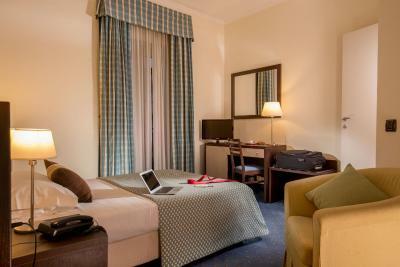 Air-conditioned room featuring a flat-screen TV, an private bathroom with free toiletries, and free Wi-Fi. Comes with a small double bed. House Rules Resort La Rocchetta takes special requests – add in the next step! ATM card Resort La Rocchetta accepts these cards and reserves the right to temporarily hold an amount prior to arrival. 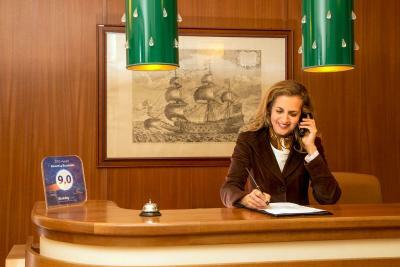 Resort La Rocchetta accepts these cards and reserves the right to temporarily hold an amount prior to arrival. 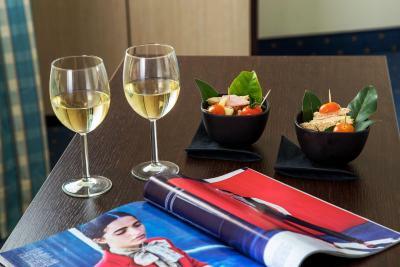 Please note that late check-in after 22:00 comes at an extra cost of EUR 20. All requests for late arrival are subject to confirmation by the property. Please inform Resort La Rocchetta of your expected arrival time in advance. You can use the Special Requests box when booking, or contact the property directly using the contact details in your confirmation. Staff, location, the building, the quitness. Everything was just right and very pleasant. cold meats & cheese selection is not to the standard of the rest. 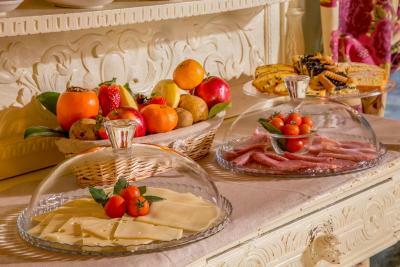 I think that a cooked breakfast should be offered, as many clients are N.Europeans. Bread also could be a little more exciting.. Some of the decor and facilities are aged or damaged, but otherwise it was great. all the staffs were very friendly and sweet! The bed was lumpy and hard. Chairs were not very comfortable. Could use with little changes... Water provided in rooms for instance, more variety in menu. Finding the hotel can be tricky at first. 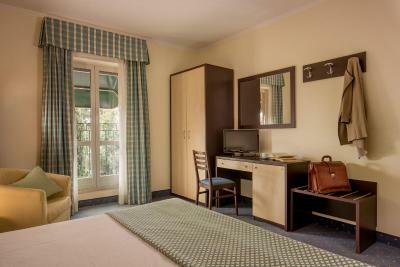 If you are a tourist wishing to see the many sights of Rome, then the location of the hotel is not great, as one has to take an overground train to reach the centre of Rome. There is no night life near the hotel, and one has to be mindful of the infrequency of trains from central Rome to the hotel at night time. The hotel is run by the owners. They are very helpful and welcoming, and made us feel most comfortable. The grounds surrounding the hotel are quite picturesque! The staff were extremely helpful and friendly. 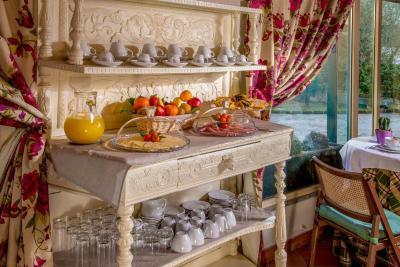 The breakfast was excellent with a good choice. It’s the perfect place to stay. It’s clean. Spacious rooms. It feels like home.I will recommend. Just in the middle of no where...no restaurants or shops nearby where I could by some food and water to survive! If one wants to totally cut off from the world out and have a 100% holiday and leisure this may be the place of choice! The most difficulty I experienced is with transport from here to SSAI and return and then to Rome Central! There should be some arrangement by the Resort like to and fro shuttle for Rome and other public offices in the area e.g., SSAI!